New Release of EEBA on Android and the Web! We are proud to announce a new release for EEBA on Android and the Web! Get it now on Google Play, or learn more about what’s new below. 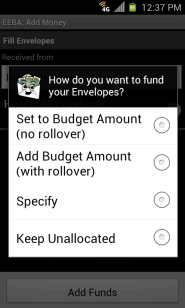 Create Envelopes to represent your budget. Compare your spending against your income. 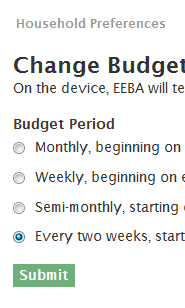 Custom start dates for *every* budget period. 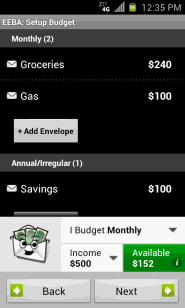 In-App spending guide keeps you on track with your budget. Beefed-up Specify option makes it easier to budget off your income. Support for Unallocated Money lets you pool your income before distributing it. Head to Google Play on your phone or on the web to download the update. Look under “My Apps” in Google Play on your phone, or just search for “EEBA” in the Play store.